You must make reservations at least 5 minutes in advance of the time at Two25. The MarkTwain Hotel and Two25 share the parking lot directly behind the building. It is a private parking lot. If the parking lot is full, a parking deck is located next door. Live Jazz music performed by Dave Hoffman and Friends every Friday from 5:30pm - 7:00pm. Each month Two25 is the host of specialty tasting dinners. Past dinners have featured Wine, Beer, Whiskey, Tequila and more. Give us a call to find out when our next dinner will be held. Please contact Gary Anderson for potential catering. We have two private dining rooms. Our Private Dining Room seats 50 comfortably with total privacy. Secondly, our Sunroom seats 35 comfortably also with total privacy. This room has private access to our outdoor patio. Please contact us with larger groups, as we can combine sections of the restaurant to accommodate a variety of needs. Two25 is a polished casual restaurant located in the Mark Twain hotel of downtown Peoria. 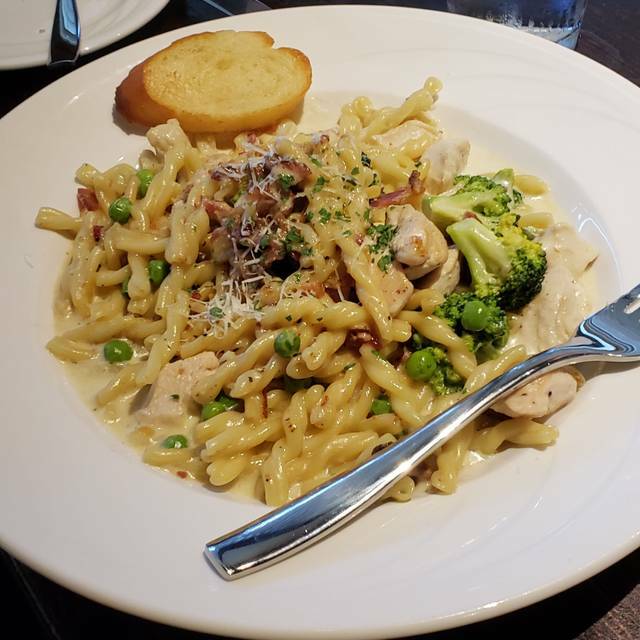 Our signature dinner entrees include a broiled New York Strip served with classic Gratin Dauphinois - a 30 layer potato gratin, a Dijon Crusted Salmon, and a rich Seafood Carbonara. Our dessert menu features choices such as delectable Chocolate Mousse topped with a Raspberry Chambord Sauce . Diners can complement their meals with our wine program - a large selection is available by the glass, half bottle or bottle. Our reserve list by the bottle is sure to help you celebrate that special event. Our lunch selection includes great soups, sandwiches, and a pizza buffet with a fresh salad bar. Your choice of soup and choice of BLT, Turkey Club or Grilled Cheese. Grilled Cheese is your choice of American, Cheddar, Swiss, Gouda or Pepper Jack. A fresh piece of Atlantic Salmon served with fresh cut julienne vegetables and broccoli simmered in our saffron broth and paired with a side of jasmine rice. Served with your choice of fries, pasta salad, or housemade potato chips All Sandwiches can be served as a wrap! When we walked in, the hostess and some guy from the kitchen were standing there on their phones. Our waiter was not very good. When my wife asked what salad dressings were available, he said "all the standard ones.". It wasn't until she looked confused that he went through the list. When I asked questions about the draft beer list, he said "it's a new one today and I haven't looked at it." After the food arrived, he hardly ever checked back with us and I had to ask several other people to get our water refilled. Doubt we will be back. For that money, I would expect more. Atmosphere, food, seating was absolutely FANTASTIC!!! You could not beat the price and you were full when you left. I tell everyone they should go, best place for lunch, easy to get to, plenty of parking. I can not say enough how wonderful of a place Two-Twenty Five is. 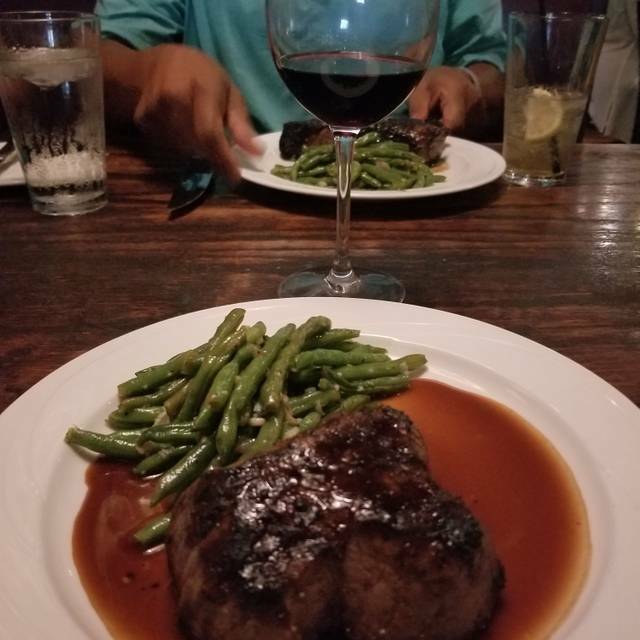 Most of us had the 8oz filet which was wonderful. We ordered a thin crust pizza and received a pan pizza. 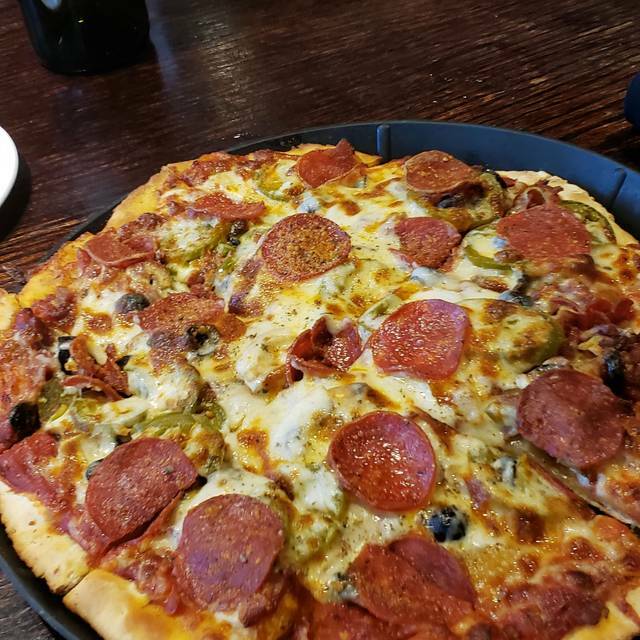 We weren’t immediately sure if it was a very thick thin crust so we politely ate with our friends until the waitress returned. She offered to replace it but by then we had consumed half of it and did not want to wait for another. She did offer free dessert but we would have enjoyed the thin crust much more than the thicker crust. Disappointed in the place we like to eat for special occasions. Dinner was fabulous and we would highly recommend this restaurant. Everything was wonderful. Friendly and knowledgeable staff. Appetizers and entrees were scrumptious! Great ambiance. We will definitely be back soon. When we made our reservation online, it asked if if it was for a special occasion. I entered anniversary. I'm not sure why they asked the question because our anniversary wasn't mentioned by anyone in your staff. We found that peculiar. I ordered the Filet mignon, medium. When I went to cut into it, i could barely get my knife through it. It was completely burnt black. The steak was grainy & stringy, unlike any filet I've had. It was so salty I couldn't eat it. I would have told the waiter but he didn't ask. So we traded dinners & I ate the lamb instead. We didn't have a good experience for our anniversary dinner, but good thing the hotel was nice. The coffee was not good at all. Sent it back. Lukewarm and horrible taste. We were very impressed with Two25! Never have eaten there before, and will definitely go again! Nicely varied menu, and their steaks are superb! Their wedge salad was perfect, as was their garlic mashed potatoes! Bon appetit! Even though we had made reservations a week before on OpenTable, they tried sticking six of us in a four-person booth. After talking with the hostess several times they continued to tell us there was nothing they could do. Finally a manager came out and got us a table for six. In the room they put us in, there were several open tables that were never used while we were there so there should’ve never been a problem with moving us in the first place. They then continually got our wine incorrect and kept trying to either give us more expensive bottles than we ordered or charging us on the bill for bottles more expensive than they actually gave us. So you definitely have to watch that! Bait & switch was the laughing theme for the night b/t our friends. The food was good but definitely not the best in the area. Head to Jim’s steakhouse for a better steak. Food. Excellent as always! Service was a “little off” from what we’re used to here. We have become accustomed to excellent service here. Our server kind of disappeared toward the end of the meal. Last round of drink ordered never came, no ask for dessert, etc. Nothing broken, but this is really one of two places in town we frequent, and we come for the food AND the service. Food was great, service was horrible. Waited over 20 minutes for a drink refill, gave up and drank my wife’s drink. Waiter was no where to be found. The girl who did bread, pepper mill, etc. was seen at our table more than the waiter. The food, service and seating was just right. Very good service and always greats food. We are never disappointed. It was very relaxed and intimate and fun place to go. Cheap decor. It was Valentine’s Day and you would have thought that there’d be flowers on the tables, but nope. Very noisy. Food portions a little small . Bland salad. Most annoying part, the damn kid that kept constantly coming to the table asking if we wanted ground pepper on everything. One no should of been enough for him to take a clue but nope. Two25 is just too pricey for our comfort- $130 for two people eating two steak dinners and one appetizer is just too much for this place. Not even being dramatic, we waited 15 minutes for someone to greet us at our table and get the service started. Filet mignon was of good quality, however the New York strip was incredibly over cooked. The “garlic mashed potatoes” did not taste like actual potatoes at all. Unfortunately this restaurant just had too many negatives for us to return in the future. It had been several years since I had been to Two25 but based on our dinner on Valentine's Day evening, we'll be back! Service was prompt and efficient and the food was memorable. 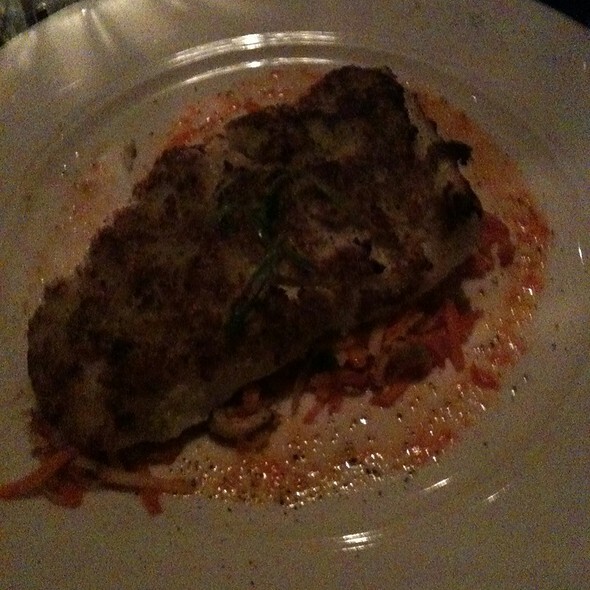 My husband had the Steak at Poivre (on special that night) and I had the Maine Diver Scallops. Everything on both of our plates was delicious! Two25 is a great restaurant! 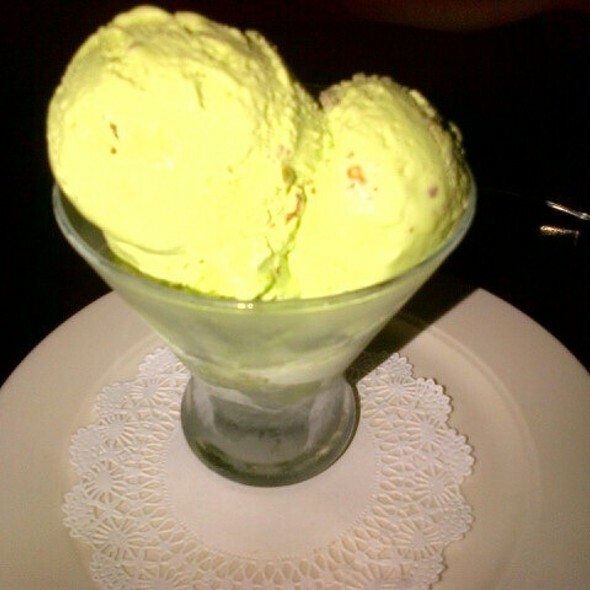 There food is always awesome and we have always had great service there. It's a little pricey but definitely worth it! We love the atmosphere there. If you haven't tried it, you should! Have eaten here on a few different occasions, best ribeye steak I have had in a long time for a great price. We decided to try some place different for our Anniversary and I am so glad we did. It was a quiet Monday evening, but everything was fantastic. I had the Filet with fromage and it was cooked masterfully. My wife had shrimp scampi and we both enjoyed. I had a few cocktails, both tasty and potent. The service was wonderful and we felt very welcome. We will definitely return. Overall great. 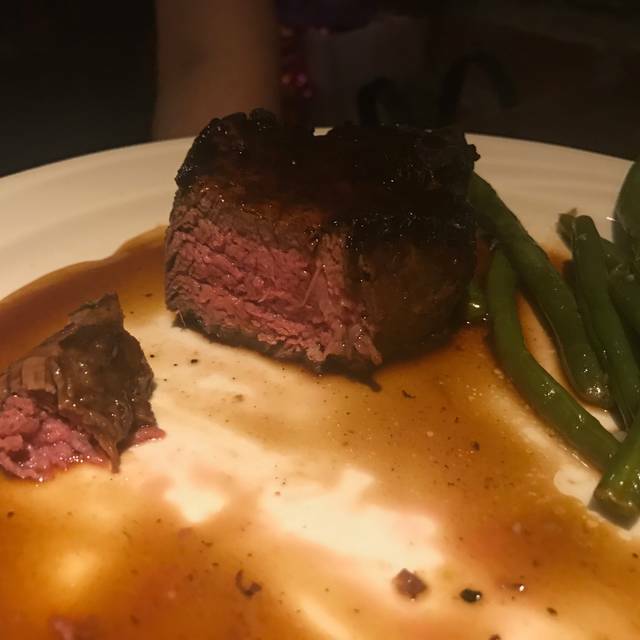 Medium strip was medium rare. Great flavor though. Great food and service! Highly recommended for a special experience! Server made us feel like we weren't wanted because we shared a meal. Not very friendly. Other times we loved it. Will be a while before we go back. The food was mediocre and over priced for what was served. Soggy, watered down salad, shrimp cocktail tasted like frozen shrimp from jewel for $16, and although the filet was cooked perfectly it literally had no flavor and was served with kind of soggy green beans. Nice ambiance and waiter was nice but quality just not there with the food. Soup never came. Waiter Kevin acknowledged and didn’t even offer to bring it late, only said it was his fault and he was extremely busy. No apology, no soup. Extremely unprofessional on a night with plenty of open tables. The food was ok this time but I’ve had the same steak cooked better in the past. Our server was wonderful. We had a wonderful time again. It was a little loud where we were seated due to live music, but we could still hear each other's conversations. Our waiter was not overly attentive, but I didn't notice until it was time to leave. We did not need anything so it was fine that he left us alone to enjoy our company. Someone was always around to fill our water glasses and that was most important. The food was prepared just as we asked and it was very tasty! I love the atmosphere and the decor of the building. The food was excellent. Service was good but not very friendly. Atmosphere was nice and quiet enough for conversation. Great food and service! 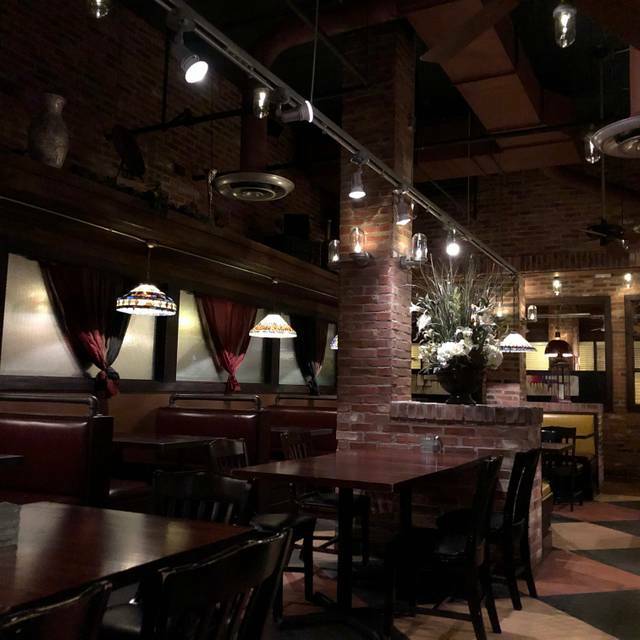 A restaurant unique to Peoria, IL - we love taking applicants to this restaurant. Best steak in Peoria. Drinks at the bar were good and the bartender was great. We were in town to attend a concert at the civic center. We got lucky on our choice of restaurant. Two25 was wonderful. Bar tender and wait staff were excellent, food was delicious. If we are ever in Peoria again, Two25 will be a definite for dinner. Food and service was excellent! One of the very best salmon dinners I’ve ever had. Wife had a curry something that she thoroughly enjoyed...the meals were served quickly and very attractively. There was, however what I think was a blues band playing an they were way to loud for my liking. The hostess, at her suggestion, placed us as far away from the band as possible. I appreciated her doing that. Our dinner at Two25 was a pleasant experience and I would expect when we are back in Peoria we’ll eat there again. Since we were staying at the hotel, the location was perfect for our pre-concert dinner. 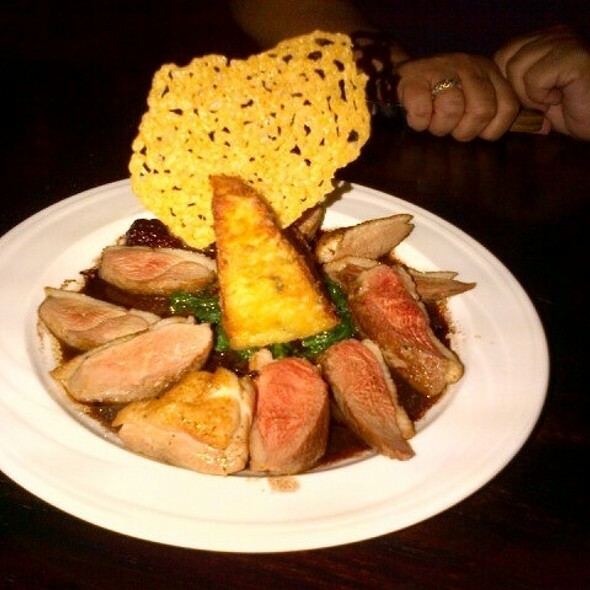 The food and service was excellent and we both enjoyed the experience. Very good dinner. Companions had soup and appetizers for their meals. I had the scallops with cheese grits. Yummy! Also, the chocolate mousse was great! The food is always very good at Two25. I also like the atmosphere of the bar and main dining room. But I can't understand why they seat people who make reservations in the front booths near the street. This is the second time I've had reservations and been seated there. The first time I requested to be moved to the main dining room. This time I stayed. The dining area near the street has only booth seating, no table cloths and is dark after the sun goes down. The main dining room offers a much nicer atmosphere with white linen, better lighting and, I feel, better service. Our waiter seemed hurried and inefficient. We had a table of 4. He carried the food to us piecemeal from the other room/foyer. If the waiter can't bring a tray with all of the food (even salads were brought two at a time), then it would be nice if two wait or bus staff people could help the waiter deliver the food. The food was excellent! Because of the food and my intention to request a table in the main dining room next time, I will go back. 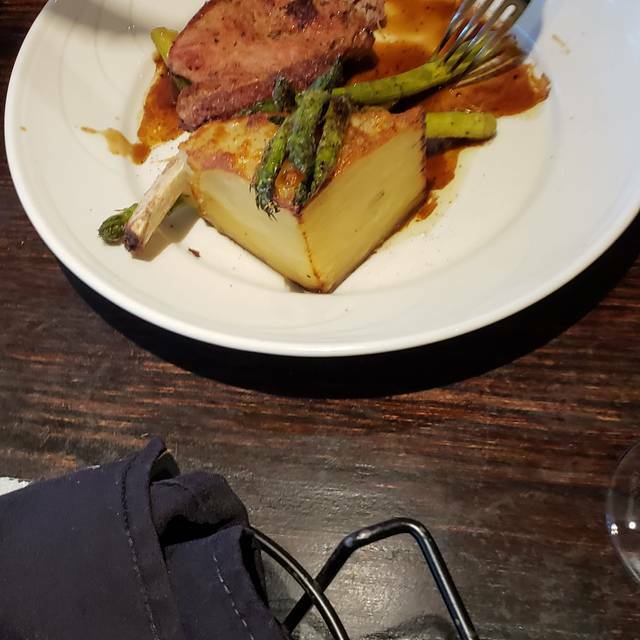 Great experience the servers complimented my date made her feel amazing and comfortable servers also allowed us to order off the menu and the food was purely authentic. The price matches the experience well worth it and we will come back. The best part is the fact you can see a lot of people but at the same time my date and I felt like it was just us because of how quiet it was for how busy the place seemed. Great experience.